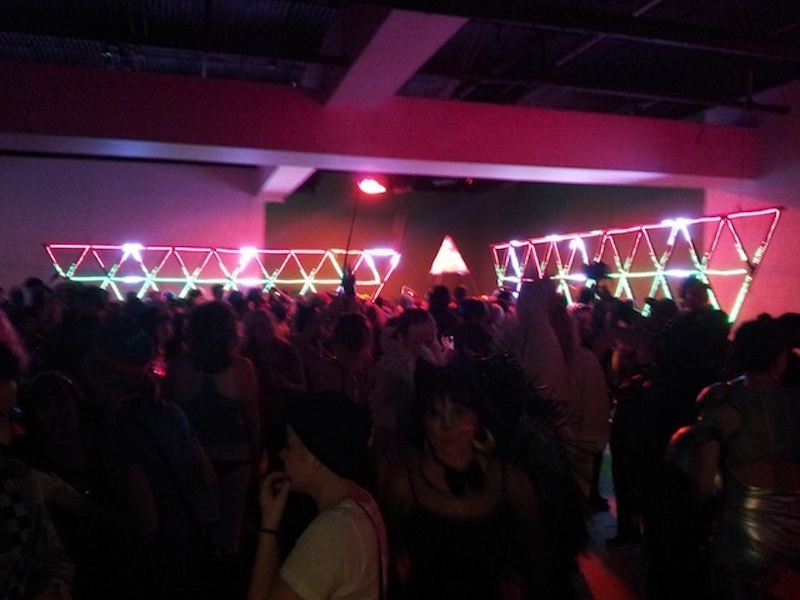 At MakerFaire 2012, Matt and I ran into the folks behind the Daft Punk Halloween Tribute, who enlisted us to reconfigure our DomeStar project into a three-part lighting rig for a theme party and parade float. 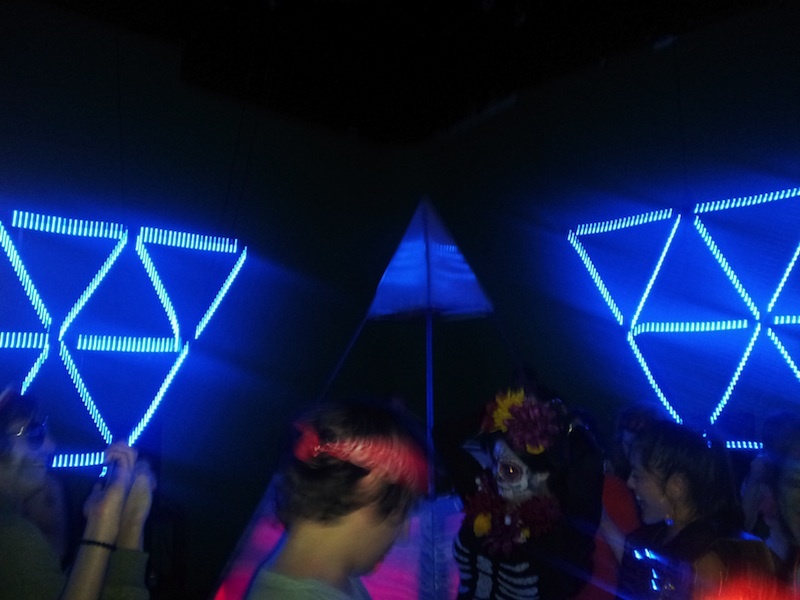 The end result was a two huge, geometric panels and a three-sided pyramid covered in individually addressable RGB LED strips. Every LED in the fixture is individually addressable, and all geometric forms were mapped into a two dimensional space in our transmission software. With this, we were able to take full advantage of the geometric shapes, by projecting video on to them and using geometrically-aware algorithms. 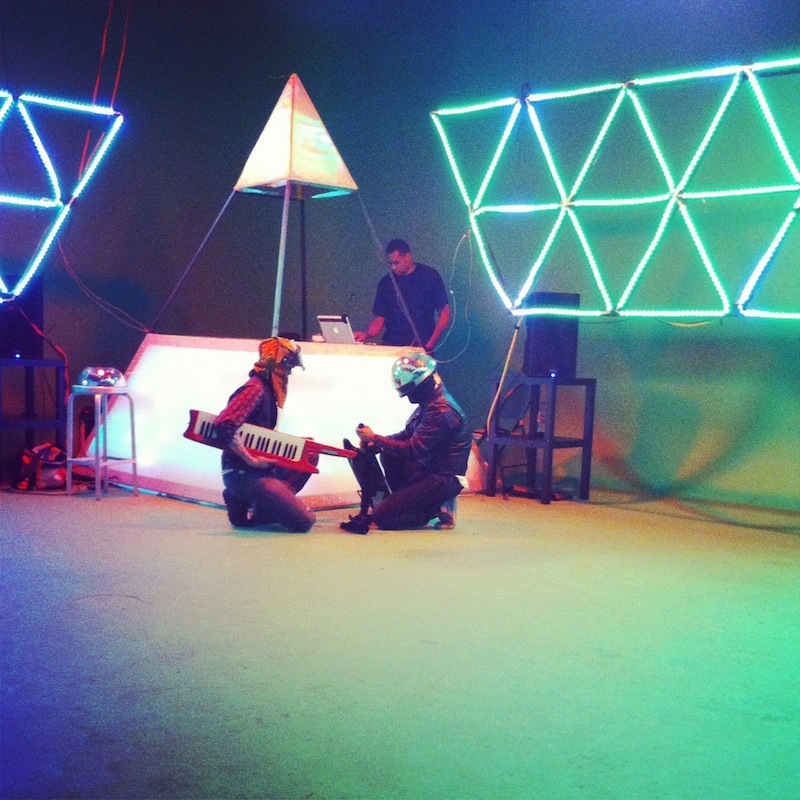 The light show was partially sequenced in Ableton Live, and the rest was played live on a Novation Launchpad, using Midi loops inside Ableton. The result was an engaging light show with thousands of permutations and combinations of patterns, colors, and effects. 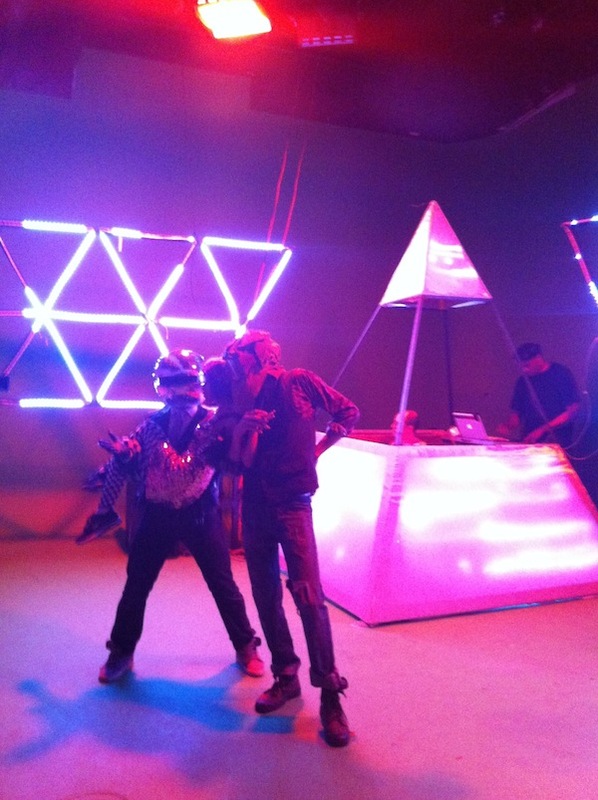 Daft Punk Party Lighting Rig </div> Longer video below.